A large duplex apartment (two floors), providing an apartment feel of living, but with lots of space. A 15 minute walk to the Sheffield city centre, it enjoys the benefits of the city centre, while enjoying large open green space (Norfolk Heritage Park) and ample free car parking. The property is around a 30 mins drive to the Peak District National Park. The property is conveniently located to the city's Supertram network which provides easy access to many of Sheffield's amenities and attractions such as the rail station, both universities and Sheffield theatres. The property offers a large modern kitchen with modern appliances and a large dining area on the ground floor, as well as a toilet. On the first floor, there are three bedrooms, two doubles and one single, the lounge also offers a guest bed for one person if required. The whole duplex apartment is available for rent. After greeting you and providing a brief guided tour, I will be available either in person, or via my mobile to help during your stay. Quiet, close to green open space and conveniently located via walking or public transport to the Sheffield city centre. There is a Supertram stop is within five minutes walk. The Supertram is frequent and reliable and offers easy access to the centre, both universities, the railway station, Hallamshire Hospital and Meadowhall shopping complex. The living space is accessed via its own front door. The duplex apartment is part of a communal block, i.e. there is a property above. The area is quiet and is opposite a large green open space, Norfolk Heritage Park. Having been brought up in Sheffield and attended one of the city's universities, I know the locality well. I have also hosted guests at various properties for several years and really enjoy interacting with guests that have become friends as well as new guests. Convenience to the city centre, but within a quiet relaxed environment close to green open space. Perfectly located to access the Peak District and its attractions. Close to park. Close to public transport. Close to city amenities. Free parking. Free Wi-fi. Large apartment over two levels. My daughters and I appreciated the small things that were available for us as soon as we arrived. Steve was an excellent host and provided an excellent base to get my daughter set up in her apartment for school. Convenient access to city centre via nearby tram stop. Property beautifully presented and extremely comfortable. It was a pleasure to meet you and your family. Thank you for your kind review, it’s much appreciated. 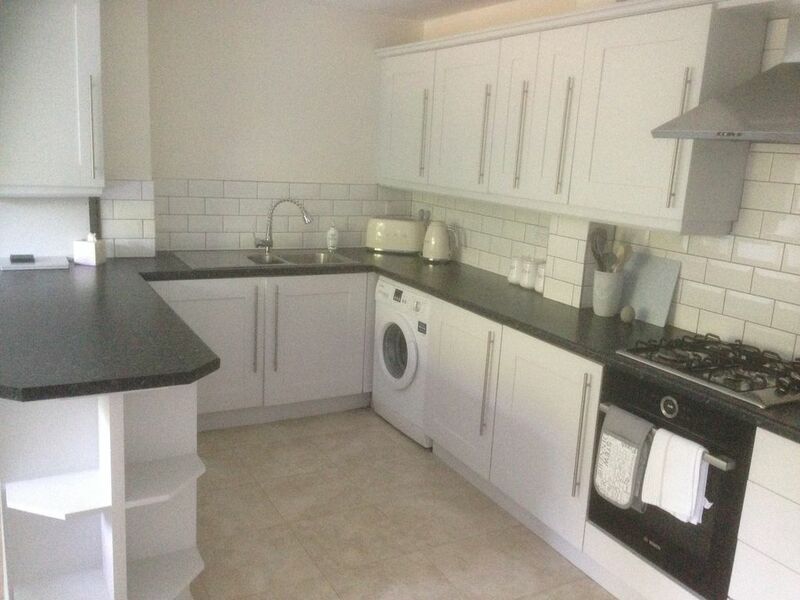 The property is very clean and tidy, and contains all the necessary equipment for making it a home from home. The property is right next to the super tram, and so it is very easy to get in and out of Sheffield. It is about a, £5 taxi ride into city centre, or a twenty five minute walk. A lovely apartment in a great location for the city, just a couple of stops on the tram. Apartment had everything we needed. Oven was a little bit tricky, but fine once we looked at the instructions. Highly likely to be user error! Would definitely use again when in Sheffield. Lovely clean apartment. Great location: tram stop just up hill took us to Meadowhall Shopping, great day out. Plentiful supply of thick towels. Toiletries provided and lots of cleaning products supplied in kitchen. Steve very obliging and helpful. Would definitely stay again. Stayed in lots of apartments before and this is in top 5. We had a lovely stay at Steve's apartment (family of 4). There's plenty of space and Steve provided a warm welcome on a cold and wet Friday evening. It was very nice to stay in a holiday home with enough toilet roll, washing up liquid and soap provided!